Look who is turning two....Cali that's who! My niece Annie and sweet toddler niece Cali came to CA for a visit and while they were here we got to celebrate Cali's second birthday a couple of weeks early! It's Owl-ways fun to sit on a tiny toadstool at a party. I wish I was tiny enough to sit on them too! So glad I could reuse these little stools I made for Jaina's fairy party! 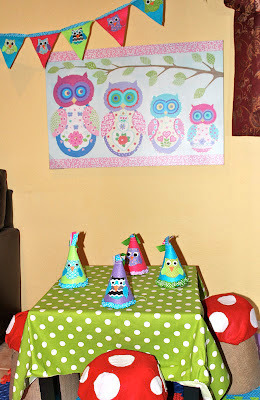 I was a hoot making this banner out of felt and cutting out fabric owl appliques. These little hats were fun to make. 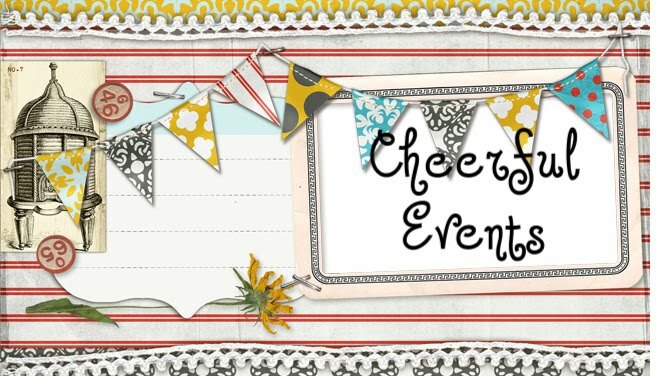 I bought some cheapo paper party hats on clearance and unfurled them for a pattern. Then I cut pieces of felt the same size and sewed it onto the cardboard hat. I added some ribbon bling and more owl appliques! Lots and lots of ribbon pieces tied onto a wire form wreath ...easy but time consuming; good thing I already had the owl! All of the littles got a cute little owl I made from felt and fabric. It's a parliament...did you know that is what a group of owls is called? Well now you do! As you can see the party hat was a huge hit with the birthday girl....haha! But my nephew Gavin and niece Jaina got into the spirit of things. And eventually Cali came around to the idea! 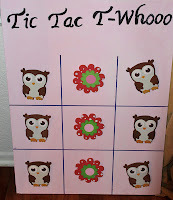 How about a little owl sticky darts anyone? Jaina had a good time running around and giving everybody a chance to throw the sticky darts! 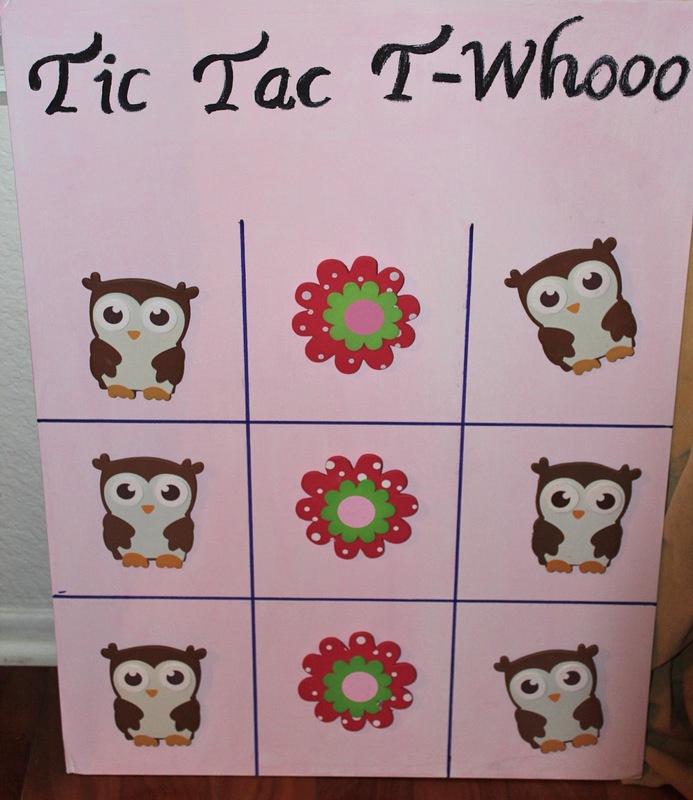 Also a little Tic Tac T-Whoo. Gavin discovered that you could twirl the little shapes on the board that were stuck on with velcro. The little flowers twirled just like a steering wheel so he spent a lot of time "driving" the flowers....Vroom! Bloom! Lots of fun coloring owls! And who doesn't love a big colorful tube to crawl around in! Plus all you really need at a birthday party is a couple of little cousin friends to pal around with! "Try to remember that next time Auntie Molly". OK Gavin I will! I wanted to make some things for Annie to take home and have a little owl party for Cali and her friends in Pennsylvania, so I had that in mind when I made the felt banner and made 10 more of the little owls. The next day I made this little picture with paint and fabric pieces for her to use as a centerpiece....small enough to fit in the luggage. I thought it turned out pretty cute too. Happy 2nd Birthday sweet Cali! Thanks for coming to visit us!